Scientists don’t know the Sun’s size as precisely as the details of the Earth and moon, making it a sticking point for perplexed eclipse modelers. Xavier Jubier creates detailed models of solar and lunar eclipses that work with Google Maps to show precisely where the shadow of the Sun will fall on the Earth, and what the eclipse will look like at each point. He came to realize there was something off about the sun’s measurements as he matched his eclipse simulations with actual photos. The photos helped him identify exactly where an observer had been for historical eclipses — but those precise eclipse shapes only made sense if he scaled up the Sun’s radius by a few hundred kilometers. “For me, something was wrong somewhere, but that’s all I could say,” Jubier told Space.com. Scientists’ knowledge of the Earth’s and moon’s contours weren’t exact enough to highlight this discrepancy until about 10 years ago — the same time that modern eclipse simulations became possible through computer power and precision mapping. So it was around then that Jubier began to realize something was amiss. But as it turns out, it’s not that simple, Wright told . Historically, researchers have used the value 696,000 km as the radius of the sun’s photosphere — the body of the sun whose wavelengths are visible to the naked eye on Earth. The value was first published in 1891 by the German astronomer Arthur Auwers, Wright said, and it was taken as a standard value for quite some time. In 2015, the International Astronomical Union defined a “unit” based on the sun’s radius as a similar 695,700 km, based on a 2008 study, so researchers can use that value to compare the sizes of other stars in the universe. But efforts to measure the sun’s radius have never been accurate enough to match our knowledge of the moon’s and the Earth’s contours, the researchers said. Scientists have tried measuring it through transits of Mercury and Venus — when those planets cross the face of the sun — and through images taken from sun-observing satellites like the Solar Dynamics Observatory. Each pixel on SDO images covers about 90 miles (150 km), Wright said, which means there’s a limit to how precisely the size of the photosphere can be measured with this method. In addition, orbiting solar telescopes like SDO generally collect wavelengths of light emitted deeper inside or further outside the Sun, rather than its visible photosphere. Different papers trying to pin down the sun’s radius, using planet transits, space-based sensors as well as ground observations, have produced results that differ by as many as 930 miles (1,500 km), and can’t seem to be reconciled with one another, Wright said. And for eclipse modelers, it’s a critical and irritating problem. Eclipse viewers might find the uncertainty of interest, as well, as they plot out where they’ll be in the path of totality. A slightly larger sun means the period of total blackout can be a few seconds shorter in the center of the path, and the path itself would warp, as well. “For most people, yes, it doesn’t really matter; it won’t change everything,” Jubier said. “But the closer you get to the edge of the [eclipse] path, the more risk you take.” If the sun is indeed bigger, the path is narrower than projections made with the usual value would suggest. So those chasing the effects on the eclipse’s edge could be in trouble if they’re not using a large enough value for their calculations. Few people do eclipse predictions, Jubier added, and the precise value isn’t necessary to a lot of researchers. Because of that, definitions can vary and it’s hard to compare different values to one another, including the original 1891 value. It can be hard to tell for a given study what assumptions went into their answer for the Sun’s diameter, and so they can’t be adapted easily to match each other or the eclipse. Any discrepancies in eclipse measurements can be attributed to not fully understanding the values, Jubier added. Michael Kentrianakis, an avid eclipse chaser and a member of the American Astronomical Society’s Solar Eclipse Task Force, learned about the confusion over the sun’s size from his colleague Luca Quaglia, a physicist and eclipse researcher. 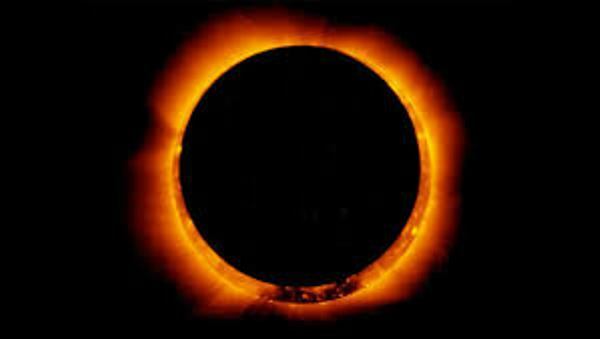 “The straw that broke the camel’s back,” Kentrianakis said, came during an expedition to Argentina in February, where he positioned himself outside what should have been the edge of an annular eclipse — where the moon is circled by a bright “ring of fire.” A larger Sun would make the “ring of fire” effect visible to a wider area. “Technically, I should have been outside of annularity, [but the unfiltered photographs show] we were still in the path of annularity, and we have this beautiful chromosphere circling around at the edge,” Kentrianakis said. That experience fully convinced him the Sun was larger than generally thought. While researchers would ordinarily use the radius of the Sun to compute exactly when the moon will cover and uncover the sun for a given location, called contact times, the opposite strategy is required here, Quaglia told Space.com. “If we can measure contact times accurately, everything else being the same, the only thing that can change is the solar radius. We can actually compute the solar radius that way,” he said. Jubier said that flash spectrum measurements would be most useful, but so would (safely!) unfiltered views of the eclipse. Most filters cut out details of the images, making it much more difficult to determine precisely when the S un fully covers the moon. Other groups will also be using the eclipse to try and measure the Sun’s diameter, Quaglia said, including the International Occulting Timing Association, which will analyze smartphone videos taken at intervals perpendicular to the eclipse path in Nebraska. Understanding the visible sun’s exact size will be possible only by combining careful solar measurements with the simulations and precise understanding of the moon’s and Earth’s elevations that exist now, Jubier said. But the pieces are in place to make that determination, if enough people get on board to measure the most common sight in the sky during those uncommon moments of eclipse. “It’s big, and it will take many eclipses — it may take until 2024 — but at least we’re starting it now,” Kentrianakis said. Hydrogen at elevated temperature creates high electrical conductivity in the Earth’s mantle. New work by Lawrence Livermore National Laboratory (LLNL) scientists shows the dispersal of water (incorporated as hydrogen in olivine, the most abundant mineral in the upper mantle), could account for high electrical conductivity seen in the asthenosphere (part of the upper mantle just below the lithosphere that is involved in plate tectonic movement). The research appears in Scientific Reports . The work could lead to a better understanding of present day water distribution in the mantle, which has strong implications for planetary dynamics and evolution. Researchers said such information might provide key evidence as to why Earth is the only known planetary body in our solar system to develop plate tectonics and to retain liquid water oceans on its surface. Minerals formed deep in the mantle and transported to the Earth’s surface contain tens to hundreds of parts per million in weight (ppm wt) of water, providing evidence for the presence of dissolved water in the Earth’s interior. Even at these low concentrations, water greatly affects the physico-chemical properties of mantle materials. 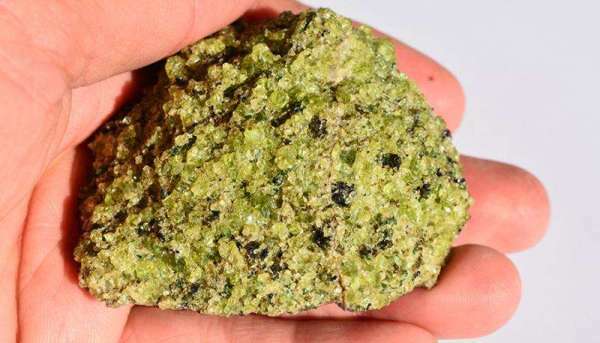 The diffusion of hydrogen controls the transport of water in the Earth’s upper mantle, but until now was not fully understood for olivine. Earth’s hydrosphere is a distinctive feature of our planet where massive oceans affect its climate and support its ecosystem. The distribution of water on Earth is not limited to its outermost shell (hydrosphere and hydrated minerals), but extends to great depths within the planet. Downwelling oceanic lithosphere (at subduction zones) and upwelling magmas (at mid ocean ridges, volcanoes and hotspots) are vehicles for transport of H2O between the surface and the Earth’s deep interior. “The amount of hydrogen required to match geophysical measurements of electrical conductivity inside Earth are in line with the concentrations that are observed in oceanic basalts. This demonstrates that geophysical measurements of electrical conductivity are a promising tool for mapping out water distributions deep inside the Earth,” Du Frane said. The data also suggest that synchrotron radiation — which results when electrons are accelerated in a curved or spiral pathway — powers the initial, extremely bright phase of the burst, known as the “prompt” phase. Astronomers long considered two other main candidates in addition to synchrotron radiation: black-body radiation, which results from the emission of heat from an object, and inverse Compton radiation, which results when an accelerated particle transfers energy to a photon. MASTER-IAC gathered critical data on the proportion of polarized optical light relative to the total light produced by the prompt phase. Because synchrotron radiation is one of only a limited number of phenomena that can create polarized light, these data provided the crucial link between synchrotron radiation and the prompt phase of GRB160625B. A magnetic field can also influence how much polarized light is emitted as time passes and the burst evolves. 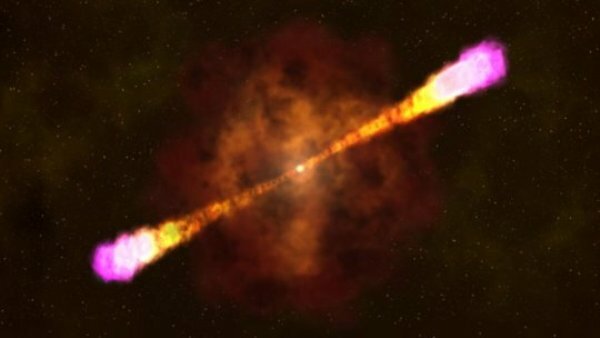 Because the researchers were able to analyze polarization data that spanned nearly the entire timeframe of the burst — a rare achievement — they were able to discern the presence of a magnetic field and track how it changed as GRB160625B progressed. Long ago, about 300,000 years after the beginning of the universe (the Big Bang), the universe was dark. There were no stars or galaxies, and the universe was filled with neutral hydrogen gas. In the next half billion years or so the first galaxies and stars appeared. Their energetic radiation ionized their surroundings, illuminating and transforming the universe. 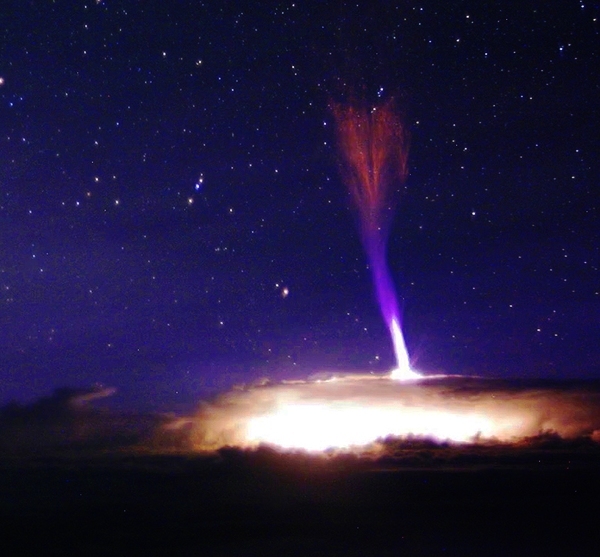 This dramatic transformation, known as re-ionization, occurred sometime in the interval between 300 million years and one billion years after the Big Bang. Astronomers are trying to pinpoint this milestone more precisely and the galaxies found in this study help in this determination. DECam was recently made even more powerful when it was equipped with a special narrowband filter, designed at ASU’s School of Earth and Space Exploration (SESE), primarily by Rhoads and Zheng (who was a SESE postdoctoral fellow and is currently at the Shanghai Astronomical Observatory in China), with assistance from Alistair Walker of NOAO. “We spent several months refining the design of the filter profile, optimizing the design to get maximum sensitivity in our search” says Zheng, the lead author of this study. “The combination of large survey size and sensitivity of this survey enables us to study galaxies that are common but faint, as well as those that are bright but rare, at this early stage in the universe,” says Malhotra. The next steps for the team will be to build on these results. They plan to continue to search for distant star forming galaxies over a larger volume of the universe and to further investigate the nature of some of the first galaxies in the universe. An earthquake of magnitude 6.1 struck in the Pacific Ocean, off the coast of Japan, this morning. The shaker – which is classed as “strong” – was near the island of Okinawa, which has a population of more than 1.4million. Almost 16,000 people were killed by an earthquake off Japan’s coast in 2011. The under-sea tremor – which has a similar depth to today’s quake – caused a tsunami, which led to the Fukushima Daiichi nuclear disaster. The epicentre was in the Pacific Ocean – between Japan, China, South Korea and the Philippines, which has a population of 100million. The island of Taiwan – where 24million people live – is very near. There were no immediate reports of damage or injuries in the quake, which hit at a depth of 21 miles, about 166 miles east of Okinawa. The US Geological Survey – which monitors earthquakes and volcanoes worldwide – said there is a “low likelihood” of casualties and damage. There is a one in three chance up to 10 people could be killed – and only a 4% chance of more deaths. The 1.4million people who leave nearby will have felt “weak” effects. A USGS spokesman said: “Overall, the population in this region resides in structures that are resistant to earthquake shaking – though vulnerable structures exist. Japan lies on the notorious “Ring of Fire” – land around the Pacific Ocean regularly rocked by earthquakes and volcanoes. A powerful 6.6-magnitude earthquake struck Indonesia – also in the region – back in May. Two people were killed and more than 120 injured when an earthquake hit the Mediterranean last week. A series of earthquakes in Wyoming has sparked fears a giant supervolcano in Yellowstone National Park could blow. The researchers used legacy survey data obtained during 2000 — 2008 from the Sloan Digital Sky Survey (SDSS), a major three-dimensional survey of the Universe. The survey has deep multi-colour images of one fifth of the sky and spectra for more than 900,000 galaxies. 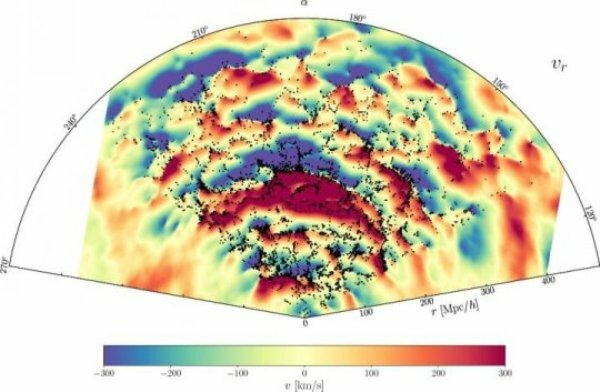 The new dark matter maps cover the Northern Sky up to a distance of 600 megaparsecs, which is the equivalent of looking back about two billion years.